This one wont last long! All the modern conveniences wrapped in Old Town charm. 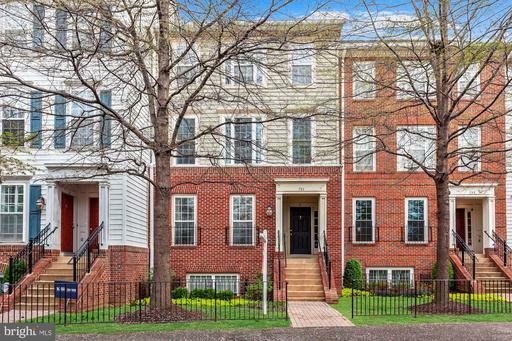 Energy efficient GREEN townhome in the heart of Old Town, only 4 blocks from the Braddock Metro. Stylish and sophisticated 3 Bedroom, 3.5 Bath townhome - each bedroom with its own ensuite bath. Light-filled home office on the entry level perfect for telecommuting. Open main level ideal for entertaining - fantastic Kitchen with upgraded stainless steel appliances, custom cabinets backsplash, and large island / breakfast bar and unobstructed views. Cozy living room with gas fireplace. Main level custom features including hardwood floors, 9 ceilings, crown moldings, wooden banisters sound system. Spacious Master Suite with walk-in closet, ensuite bath with dual granite vanity, oversized tile shower separate toilet room. Master bedroom has built-in sound system. Convenient bedroom level laundry. Upper level family room with double sliding doors to private sunny roof terrace, perfect for indoor/ outdoor entertaining. Upper level bedroom great for guests. Two car rear entry garage with ample storage. 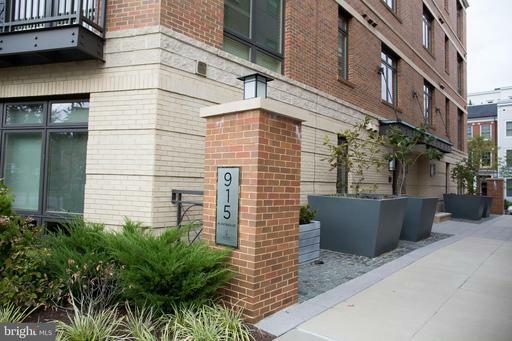 Walk, bike, commute to everything in minutes - 10 minutes to the Pentagon, 15 minutes to DC, within blocks of all the shops and restaurants of King Street. 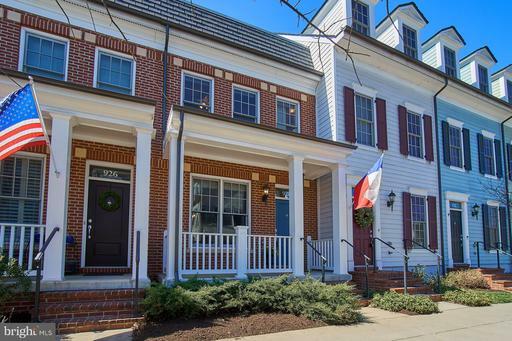 Move-in ready townhome in Old Town Commons! LEED certified with rooftop terrace and 2-car garage. 3 beds / 3.5 baths with hardwood floors, ENERGY STAR labeled windows light fixtures, low-flow fixtures. Gourmet kitchen with stainless steel appliances, granite countertops large center island. Prime location - Steps away from shops, restaurants, charming Old Town, Community Rec Center King Street. Easy access to Braddock Road King Street Metros, DCA, Potomac Plaza, Del Ray, Mt Vernon Trail, Crystal City and Washington, DC. DONT MISS! Rarely Available Buckingham Model with Charming, Covered, Front Porch and Main Floor Entry with Gorgeous Back Garden for summertime entertaining and roof top deck with awesome views for those starry nights. Built in 2014 to LEED standards, home is practically new! Granite Kitchen with Breakfast bar, Built-In Cabinets Shelves, Flexible Living-Dining space for formal dining or just casual conversation, wood floors on main level and gas fireplace in family room. Meticulously maintained and lightly lived in, home is freshly painted and ready for new owner! Terrific location only blocks from Braddock Metro, Trader Joes, and River Front. Come experience what Old Town Living is All About! 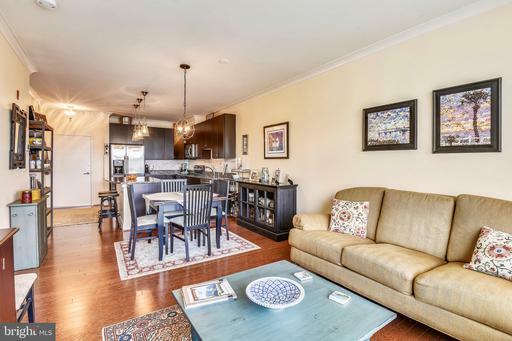 Bright and sunny 2 level townhouse style condo in the friendly Old Town Greens community. Natural light pours in through the new, over-sized windows on the spacious open concept main level. Open kitchen has been upgraded with granite counter tops, stainless steel appliances, and modern tile flooring. Covered rear deck is great for grilling and dining. The upper level is airy with extra high vaulted ceilings. Stylish all marble master bath renovation. Large and flat common ground front yard. Private garage with additional parking space in driveway. Great community amenities including pool, playground, tennis courts and transportation to Braddock metro. Convenient location makes for an easy commute - Only 2 traffic lights to DC. Minutes from national landing new Amazon HQ and upcoming Potomac Yards Metro station. Three miles to Reagan National Airport. Walk to Old Town and Del Ray shopping and dining. Beautiful, light-filled unit in boutique building! Incredible space with gourmet kitchen, versatile den w/ french doors, spacious living area, and fantastic master suite. Other highlights include charming balcony off the bedroom, laundry in unit, gleaming hardwoods, and lots of closet room! One reserved garage sparking spot and extra storage unit. 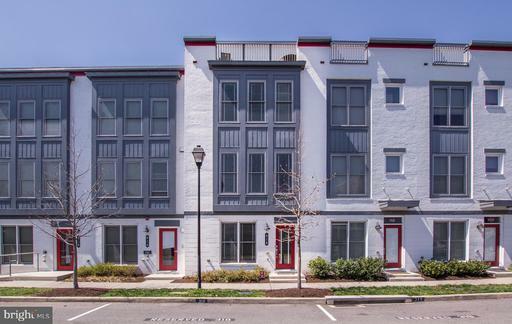 Amazing location walking distance to Braddock metro, Alexandria waterfront, shopping and entertainment options galore and just minutes from Amazons new headquarters! SUPREME CONDITION, SUPERIOR LOCATION. OPEN HOUSE SUNDAY, APRIL 7, 2019, 1-4 PM. 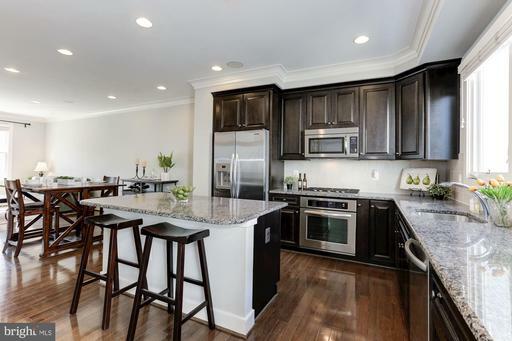 Gormet kitchen with granite counters/maple cabinets, additional storage, SS appliances/Parking space conveys/Minutes to Reagan Airport/DC, Braddock Metro just blocks away/Steps to Old Town, restaurants and shopping. Since purchaseUpgrades include: REPLACED CARPETTING IN BEDROOM AND HALL WITH HARDWOOD FLOORS CUSTOM ELFA CLOSETSBACKSPLASH INSTALLED IN KITCHENUNDER KITCHEN CABNET LIGHTINGCUSTOMIZED LIGHTING IN ENTRANCE, HALLWAY, KITCHEN, AND DINING ROOM.